Deciding on the right type of roof to go with can be a vexing experience. Among the many options you have, metal roofing is an choice which we would recommend considering. If you have a flat or steep roofline, going with a metal roof provides a durability that is tough to beat. 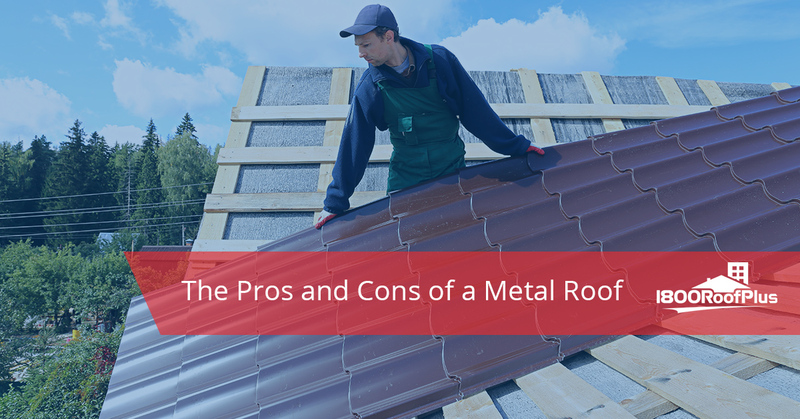 In today’s post we will explore the benefits and disadvantages of going with a metal roof. But regardless, consider consulting with your local New Jersey roofing contractor at 1800 Roof Plus to explore all of your options and find the best selection for your home. Metal roofs offer many benefits. Continue reading for detailed explanations. Perhaps chief among the many benefits of choosing a metal roof, the number of types of metal roofs you can go with is fairly astounding. Choose from tin, zinc, aluminum, galvanized steel, or copper. Each metal type has their own set of strengths and weaknesses based on durability, price, and style. Okay, we lied; this one is the chief benefit of a metal roof for the majority of homeowners. In fact, most metal roofs last between 40 and 70 years! Keep in mind that it largely depends on the material you end going with, however. For reference, traditional asphalt roofing typically lasts between 10 and 20 years. The choice is yours, but the advantages of going with an investment that will require much less maintenance are plain to see. In terms of durability, metal roofs withstand strong winds and other environmental forces much more effectively than alternative roofing options. If it means less roof repair in the long run, it might be the best option for you. Perhaps more than any other roofing material, metal roofs come in a wider variety of styles, colors, and textures. From an aesthetic perspective, a copper roof in particular can really make your house stand out amongst the sea of uniformity. Additionally, copper roofs change color over time, which can add to the home’s individuality. This isn’t really a strength or a weakness, but more of a word of caution. One thing we would like to harp on; it’s way too often that we hear from metal roof customers who didn’t realize that their roof would have hundreds of exposed fasteners, and with that the risk of each individual screw being exposed. When considering your options, keep in mind that there are metal roofing systems designed with interlocking panels and hidden fasteners. Installing a metal roofing system will give you a much more energy efficient roof than the alternatives. This is the case because the metal roof will reflect solar heat, which will reduce cooling costs right off the bat. State Farm insurance that installing a metal roof can lower your cooling expenditures from 10-25 percent. In addition to being energy efficient, metal roofs typically have somewhere between 25-95 percent recycled content. Not only that, but metal roofs are completely recyclable at the end of their lifespan as your roof. We want what is best for you, plain and simple. That is why we are outlining both the strengths and weaknesses of metal roofing. If we can be a part of that process, then all of the better. Earlier in this post we mentioned that it’s helpful to think of installing a metal roof as an investment. 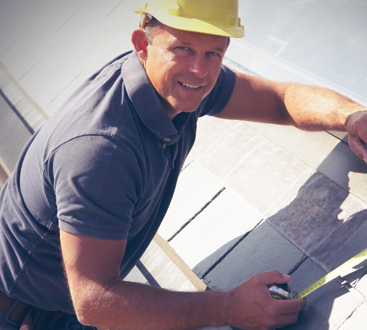 In the long run it might help cut costs because you won’t have to call up a roofing company to find a roofing contractor who can help you out. Metal roofs, however, can cost up to 3 times as much as common alternative roof types. Investing in your home by choosing a metal roof makes the most sense if you plan on staying in your home for a very long time. During a rain or hailstorm, metal roofs can get really loud. Consider adding more insulation as a countermeasure, but keep in mind that in doing so you are increasing costs. But if you can afford it, all the better! Metal panels may loosen if they aren’t installed properly. This is because metal roofs are attached as large panels which can expand and contract as the temperature rises and falls. 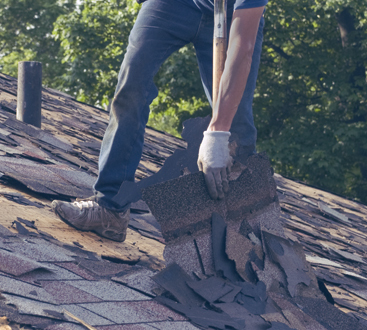 If the selected material is inexpensive and has been installed poorly, you may already be in need of a roof replacement. Contact an expert roofing contractor at 1800 Roof Plus if you find yourself in such a predicament. This is the type of warning that people will respond with “That will never happen to me!” Then one day, it does and you find yourself wishing you had paid better attention. Accumulated snow can slide off of metal roofs which often causes damages to the surrounding area, and can even injure someone if they were unlucky enough to be caught in the line of fire. Lucky, properly installed snow guards will stop snow from sliding onto your poor family, house guests, or pets. If you are in need of roofing services in the Jersey Shore area, we would love to hear from you!